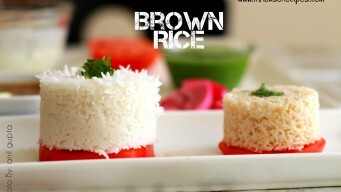 Brown Rice is a healthy version of the white rice - is what we know by heart and hear too from doctors. 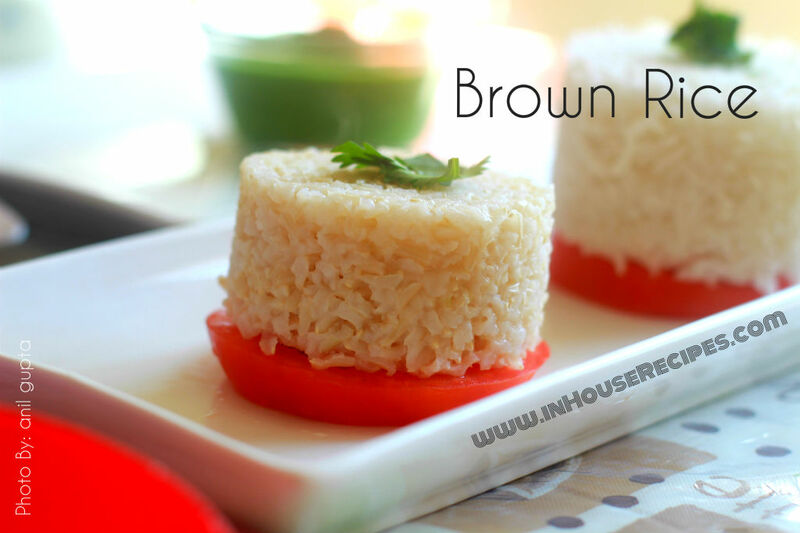 Brown rice may not taste better than white rice but they certainly help you lose weight and maintain a well balanced diet. Brown rice does not spike your insulin (sugar) levels and hence are recommended by diet planners. As a matter of fact, I also replaced white with brown rice in my journey towards losing 20 pounds of fat and the results were really encouraging. Whenever I had brown rice, I used to feel more full in lesser quantity for longer period of time. It is also considered good for controlling Diabetes. 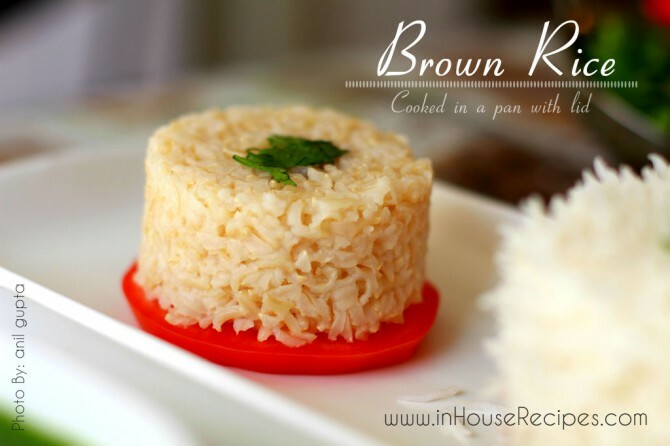 Coming back to the real point of this article, we have this simple recipe to prepare Brown rice on stove in case you are also thinking to embrace the health. We are using brown Basmati rice. They need a good 30 minutes of standing time in water before cooking. Wash the Brown rice in running water once. Just rinse and drain the water to remove any dirt on the grains. Soak the Brown Rice in Water for about 30 minutes. Water’s quantity should be 1.5 cup as mentioned above. The normal rule of thumb that we follow is 1.5 cup of water for each 1/2 cup of rice. You can soak for more time if you have the flexibility. 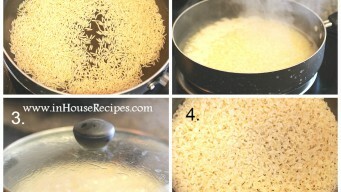 30 minutes is a recommended time to cook Basmati rice. 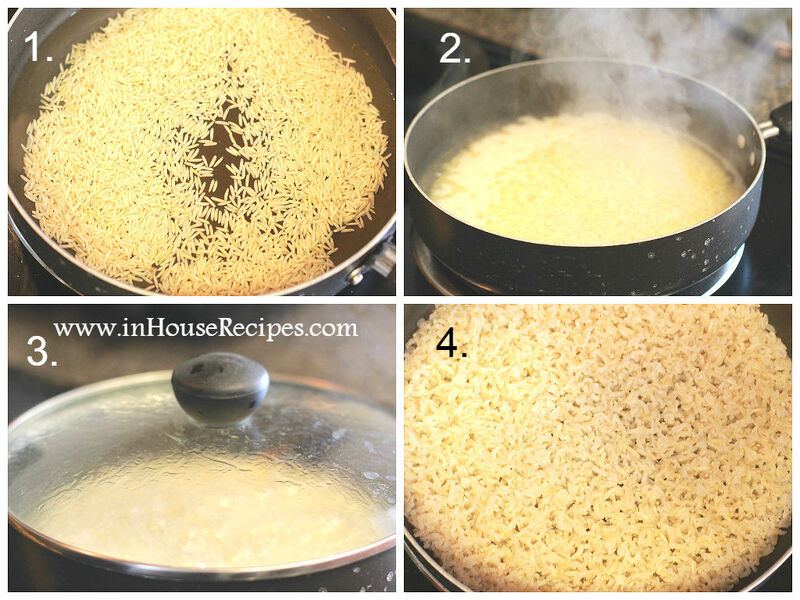 If you have non-Basmati brown rice, you can reduce or even skip the soaking time all-together. Transfer the rice and the water the same which we used for soaking in to a vessel or pan, big enough to hold all the rice. The vessel would also need a lid to cover up. Turn the stove on high flame and wait for a boil. After the first boil, turn the stove to low flame. Cover the lid of the vessel/pan and let it cook for 20 minutes. After 20 minutes, switch off the stove. Keep the lid on for another 2 minutes. By this time, the rice would have softened and cooked. Open the lid and check the grain for its softness. If you have extra water left, you can now drain it using a Sieve. 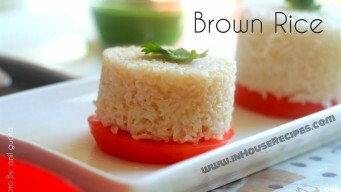 Brown rice can be refrigerated for about 4-5 days for best taste. But, remember that they are covered with a lid while you refrigerate as rice grain lose moisture if kept open. You can re-heat the rice in microwave before serving. 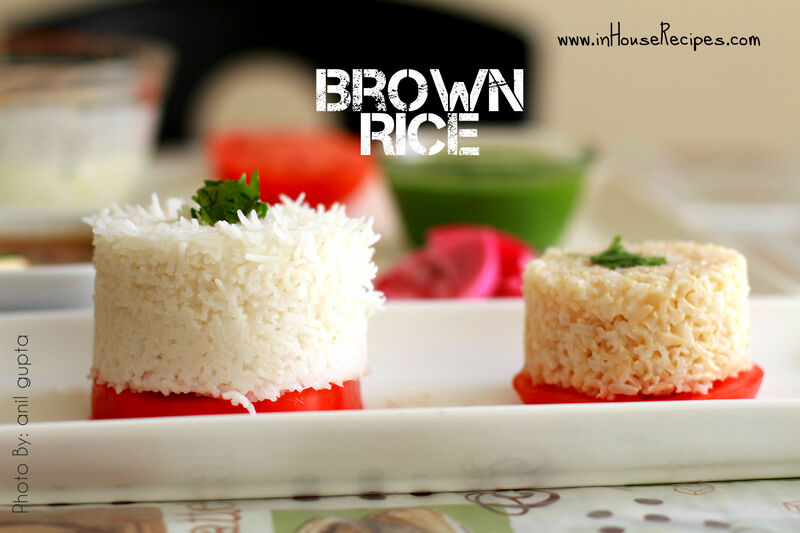 Brown rice can be served pretty much with any Sabzi which you serve with White rice. I like to eat it mostly with Rajma, Chole and Kadi.